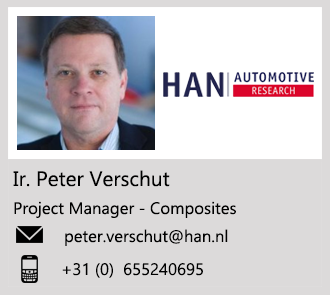 HAN Automotive Research is an excellent partner for small and medium-sized enterprises that need help with designing structures. HAN-AR assists, if desired, with the entire design process, from idea to production drawing. HAN-AR has not only a very extensive expertise but also advanced software programs for design (CAD), strength calculation (FEM) or flow characteristics (CFD). In the automotive industry, lightweight construction is an important method to improve performance and reduce emissions. It is crucial to design the structure and the shape of the components in such a way that the design achieves the functionality with as little material as possible. It is, of course, important to properly map the play of forces and to determine whether the permissible material stress is not exceeded. HAN-AR uses finite-element software for this purpose and has computers with a large computing capacity to be able to calculate complex components. In addition to its strength, HAN-AR also focuses on other design aspects, which influences the functioning of a product, such as the moment of inertia or NVH levels. The choice of materials is also discussed. HAN-AR has a in-depth knowledge in the field of steel, aluminium, plastics and plastic composites. In addition, HAN-AR also offers expertise on joining techniques such as welding, glueing, crimping and riveting. Another, very important factor is the knowledge of production techniques. Designs must not only be functional, they must also be able to be produced with available and profitable production processes. Collaboration with HAN-AR not only gives your company access to the knowledge and facilities but also makes your company part of our extensive knowledge network. HAN-AR offers support to companies in designing structures, calculate them and convert them into production instructions. A special discipline that HAN-AR has recently offered to SMEs is reversed engineering. Here, existing components are analyzed (load, material, surface accuracy) and measured (3D measuring arm and 3D scanner), so that these parts can be used in the development process of the new ones. We work with the software of, among others, Abaqus, Solidworks and Simulia.